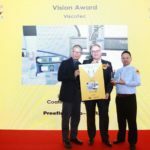 The 12th SMT China VISION Award was presented at the NEPCON China in Shanghai at the end of April. ViscoTec is also one of the prize winners with the preeflow eco-SPRAY this year. The participating products were already selected and published by the jury consisting of SMT experts and readers of SMT China Surface Assembly Technology in 2017. Products that make a significant contribution to SMT surface mounting and promote the further development of SMT surface mounting are considered. It is no coincidence that the award was given to the preeflow eco-SPRAY. The preeflow micro spray system is designed for the fast and homogeneous application of all kinds of liquids. This new technology achieves perfect results with high-precision edge sharpness – independent of low or high viscosity media. With the eco-SPRAY, materials with a viscosity of more than 10,000 mPas can easily be sprayed at high speed. The continuously variable endless piston principle guarantees a purely volumetric dosing for a precise result and thus an exact coating is achieved regardless of viscosity and supply pressure. The desired layer thickness is achieved by simply adjusting the air pressure, the amount of material, the distance to the substrate or the coating speed. The spray dispenser is intuitive and easy to use. Due to the different nozzles, it can be used flexibly with different materials and dosing processes and is also suitable for automated spraying. The preeflow spray gun can not only process highly viscous materials, it is also suitable for spraying and atomizing low-viscosity media as a conformal coating. preeflow products are leading in volumetric dosing technology and can be integrated into dosing applications worldwide according to individual customer requirements. 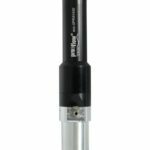 The unique quality of the progressive cavity pump makes preeflow the perfect partner for dosing 1- and 2-component adhesives, for example. Whether volumetric dispensers such as the eco-PEN or the eco-DUO, control units or evaluation units: preeflow products always follow the motto “smaller, more precise, more economical”. In recent years, the Chinese government has vigorously promoted high-tech products with high added value. preeflow products are the best choice for manufacturers in the local market. 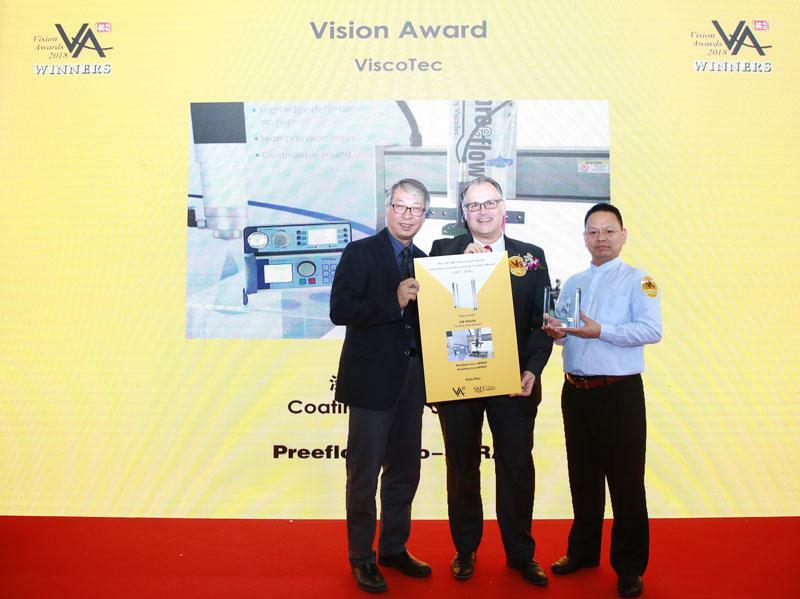 With ViscoTec’s many years of experience, the quality of Chinese production in the dosing industry can be further supported – both the products and the services of the preeflow team make a considerable contribution to this.